A Storm Destroyed My Home. Is This an Opportunity to Talk About Trusting God? 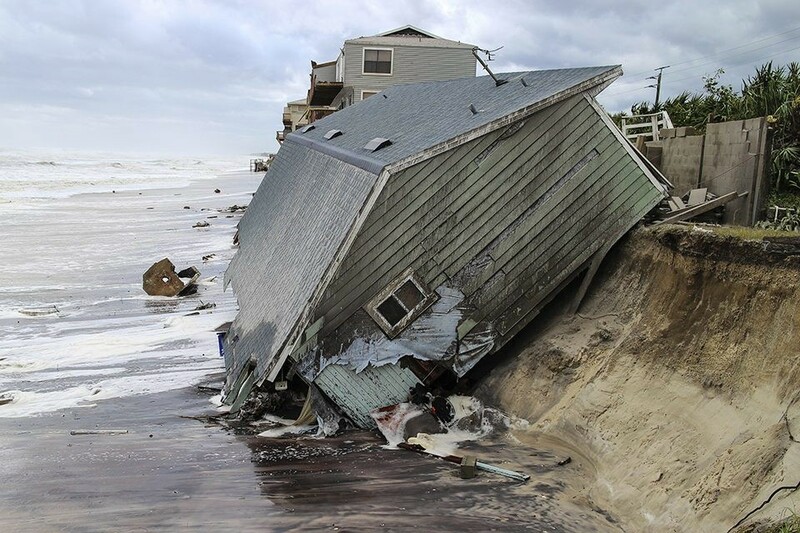 Q: My home was destroyed by a fierce storm and it has been difficult to rebuild and recover. Some of my friends have told me I should question my faith in God since this terrible thing happened to me. They do not understand my reasoning that God will see me through for His good will and purpose. They say that I am ‘holier-than-thou.’ But shouldn’t I use this as a testament of my faith that no matter what, God will bring something good out of it? A: In life we face all kinds of storms. We usually think of the personal storms that come our way—financial worries, problems in our marriage or family, illness, the betrayal of a friend and so forth. Then there are the storms that rage and ravage our neighborhoods, cities and states. There was a violent storm that came upon Jesus and His disciples one night on the Sea of Galilee. His disciples grew panicky—but Jesus stayed fast asleep. He was at peace because He knew God was in control. He was at peace also because He was sovereign over the storm, and He knew it would vanish at His Word: “Peace, be still!” (Mark 4:39). It pleases the Lord when His children are confident in His watch over us. His Word still calms whatever storm assails us and He will use it to His glory not only in our own lives, but the lives of those who may be watching our reaction in the midst of trouble. God bless those who live a testimony before a doubting world because it just may point many to the Savior. “Let your light so shine before men” (Matthew 5:16). Ask Christ to lead you through life’s storms. True, God walks with us even in the most challenging of moments. It is so very good!